As part of our charity giving this Christmas the pupils have been raising money for the Radio City Toy Appeal, the upper school organised events such as a sponsored walk, cakes sales, bacon butty sales and splat the teacher. 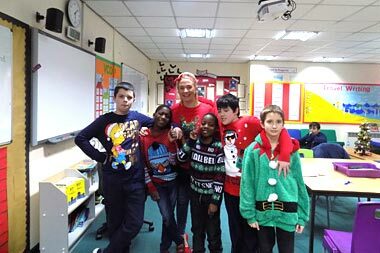 As a whole school we wore our Christmas jumpers on the 8th December in support of the appeal. All together the whole school raised an astonishing £420 for the charity. This means that local children across the area will wake up on Christmas Day with a present who otherwise would receive nothing. We at Alt Bridge are so very proud of the generous nature of our children and their families and would like to thank everyone who was involved.